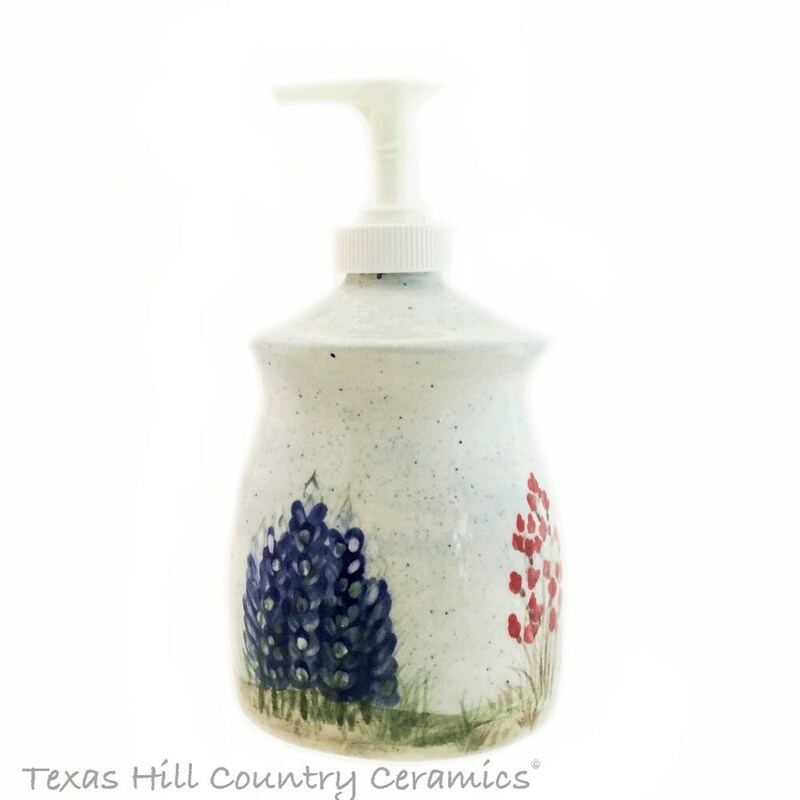 This thrown pottery canister style ceramic soap dispenser is decorated with hand painted Texas Bluebonnets and red Indian Paintbrush wildflowers, it coordinates perfectly with all bluebonnet items I make. 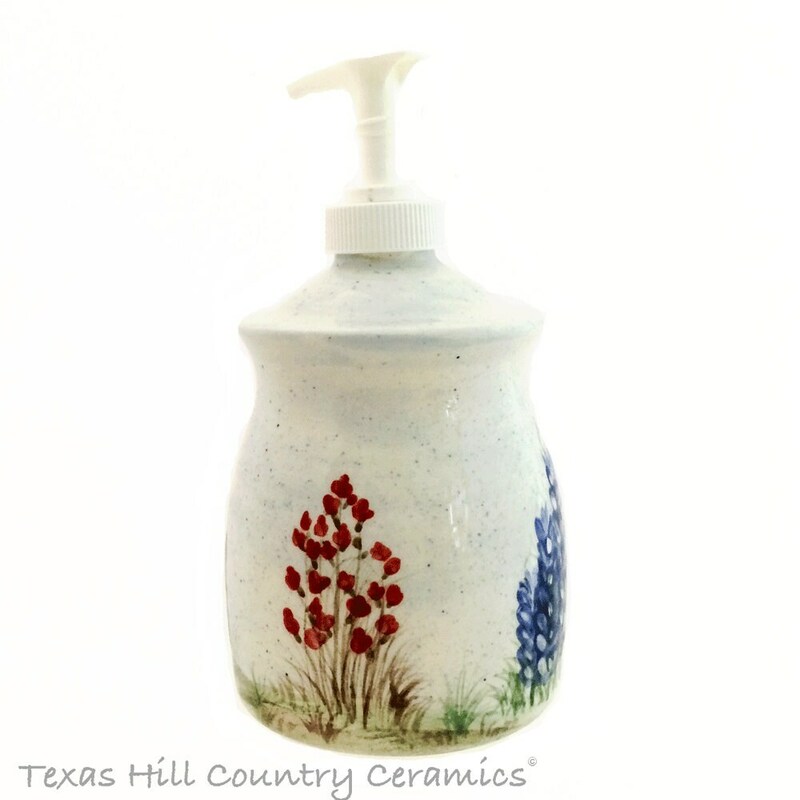 The floral design on this thrown pottery style soap pump bottle is my original design, it is hand made in my studio located in the Texas Hill Country. 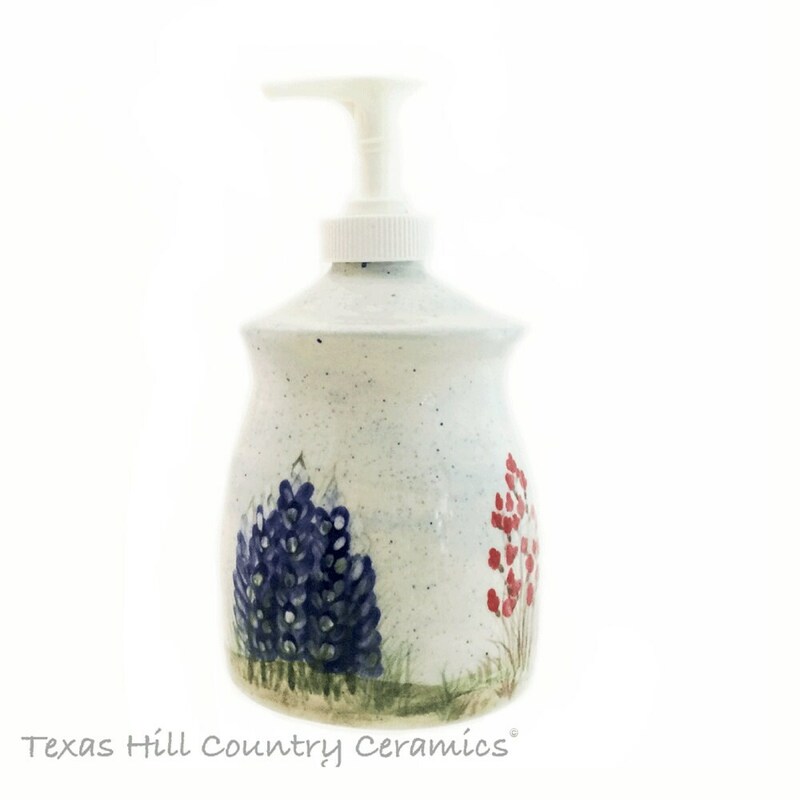 The ceramic dispenser is finished with a non-toxic glaze, the inside of the dispenser is also glazed, this is an extra step I take when I make my dispensers. Glazed interiors help keep dispensers in pristine condition because liquids cannot be absorbed from the inside. Dispensers that are not glazed on the inside will absorb the moisture from the contents, over time the outside finish will craze, flake and peel. 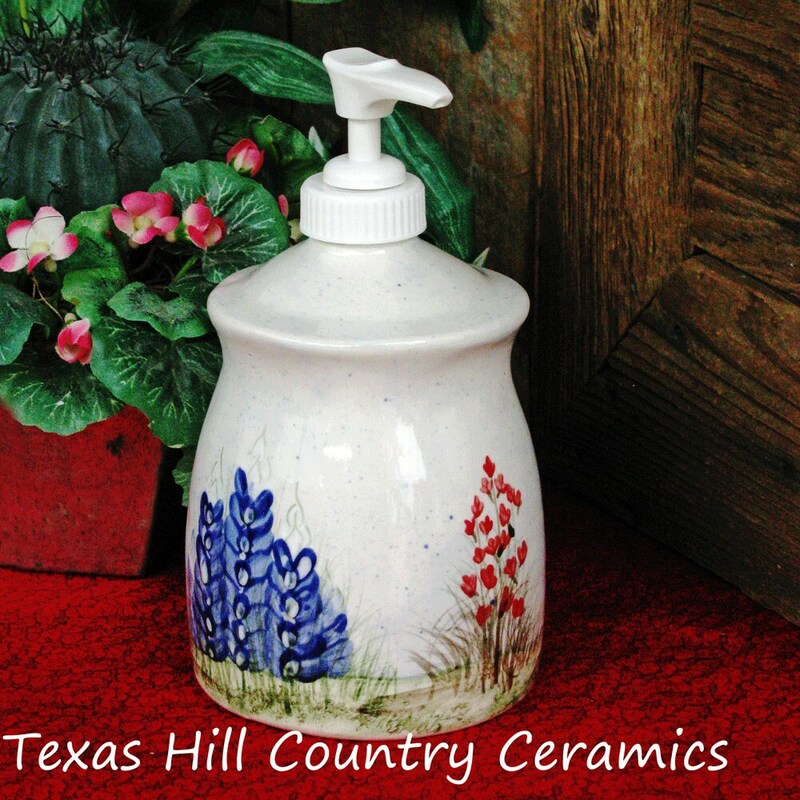 The glaze on the outside has been applied with a brush making it very durable. This dispenser is dishwasher safe and the colors will not wash off, fade or peel. 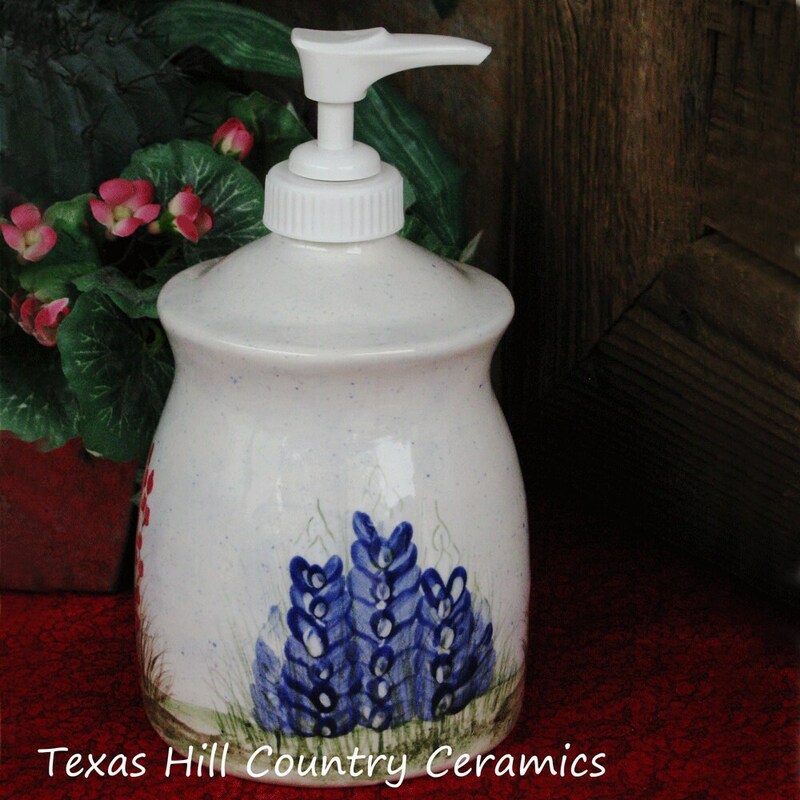 Made to Order in my studio located in the Central Texas Hill Country. I love the beautiful artwork and the high quality. This is a lovely item. It's a great size. Holds enough soap, but doesn't take up too much room. Thank you! This is even prettier than the picture! It’s stunning. Beyond thrilled with it!